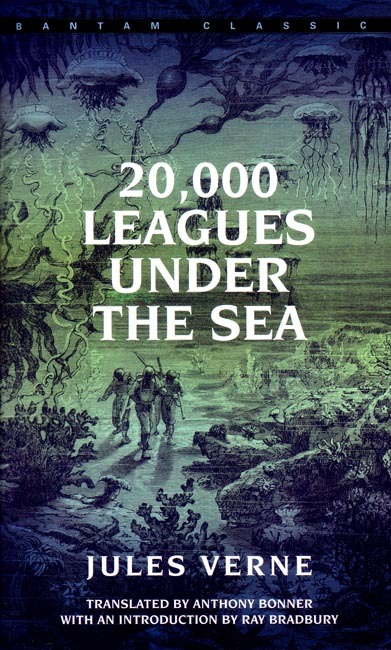 This classic novel by Jules Verne, written in 1870, foretells with uncanny accuracy the inventions and advanced technology of the twentieth century and has become a literary stepping-stone for generations of science fiction writers. An American Frigate, tracking down a ship-sinking monster, faces not a living creature but an incredible invention-a fantastic submarine commanded by the mysterious Captain Nemo. Recommended for grade 8. Bantam Classic Edition published in 1981. 6.75 x 4.25 inches. Soft cover. 437 pp.